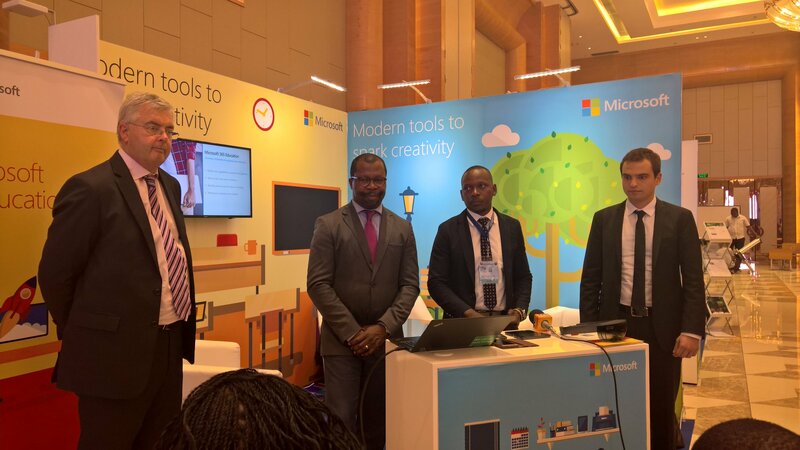 Microsoft launched Microsoft 365 Education package at this years Innovation Africa event in Mozambique. Also signed up a new Education country partner. At Innovation Africa 2017 conference held in Maputo, Mozambique Microsoft introduced the recently announced Microsoft 365 Package for education. The event brings together ministries and industry partners from across African continent in the fields of ICT, education and innovation. Microsoft 365 Education is a technology solution built for education. It comes as a bundled package of Office 365, Windows 10, Intune for Education, Minecraft Education Edition and Enterprise Mobility + Security all in a single cloud based package. 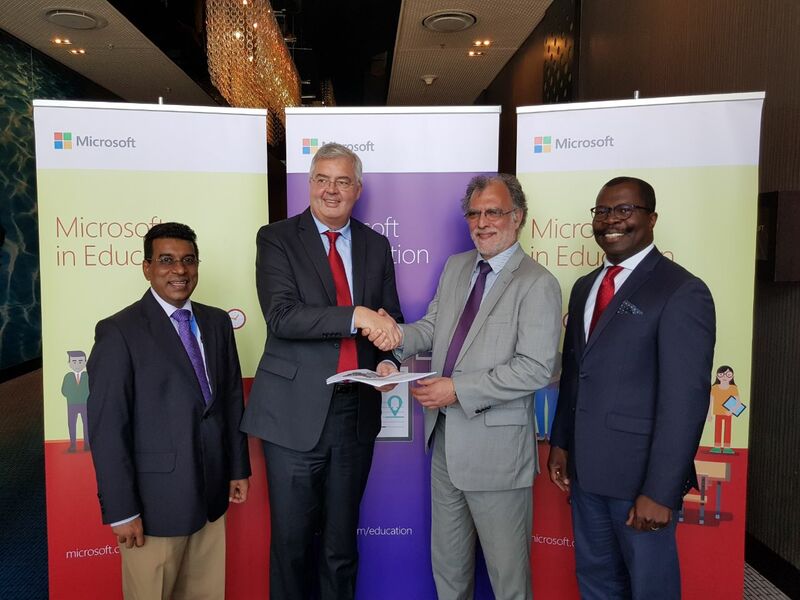 Microsoft also partnered with the ministry of education in Mozambique. Making it the 20th education partner country in Africa. Microsoft says they are committed to empowering the next generation of workers in Mozambique by helping building skills and providing access to technology. As part of the agreement Microsoft will provide technology solutions, training, devices and more delivered by Microsoft partners in the country. So what does Microsoft want to achieve with the Microsoft 365 Education package in Africa? “the aim of Microsoft 365 Education is to get schools up and running faster through simplified acquisition and deployment. This eliminates wasted time and delivers new capabilities to teachers and students to help them learn and work in new ways. We know that schools want simple to purchase, simple to manage, secure and efficient systems. Microsoft 365 Education is designed to deliver on that need. Millions of teachers and students are already using Office 365 for Education to communicate and collaborate with each other every day. With Microsoft 365 Education, we are providing a complete solution for schools in a single purchase that is a less expensive option than purchasing the same products individually. It’s also part of our drive to simplify and modernize our licensing programs.” – Mark East, Microsoft Regional Leader for Education in Europe Middle East and Africa. Digital Transformation is changing many important functional elements of societies, businesses and governments. Jobs and lifestyles are changing and our future generation of leaders and citizens need to be given the skills necessary. Educators are training children on systems that they were trained on and this is not providing students with adequate skills. The challenge therefore is to create two systems. Educators be able to retrain themselves by up-skilling in a way that aligns to becoming more digitally capable. Offer a curriculum for students that unlocks foundational skills such as creativity, critical thinking and collaboration. The Outcome – they will be able to function in tech driven world, doing jobs that will become vastly different from what they currently are. We partnered with the Ministry of Education in Rwanda, through its Partners in Learning program. We helped teachers and schools improve students’ experiences and skills through technology. To date, the program has benefitted more than 1.3 million students in sub-Saharan Africa. This just shows that we believe in the power of technology to harness the potential of educators and students in learning environments. We believe in the transformative power of technology in education to create social and economic opportunities. Immersive learning, enabled by technology, improves experiences and education outcomes for teachers and learners. More and better education, combined with early access to the tools and skills used in the workplace are proven to help create healthier communities, economies and workers. Microsoft’s investments in education continue under various programs including the 4Afrika and YouthSpark initiaives. Through the 4Afrika initiative, Microsoft has already upskilled over 800,000 Africans. This just shows that we believe in the power of tech to harness the potential of educators and students in learning environments.